Seana and Alston Arrechaga are the widow and son of SFC Ofren “AC” Arrechaga, KIA 29 March 2011, Kunar Province, Afghanistan. Ofren was born in Havana, Cuba, on December 22, 1982. He and his family moved to Hialeah, Florida, when he was 14. In February 2001, at the age of 18, Ofren enlisted in the United States Army. He was assigned to Alpha Company, 2-327 Infantry Regiment (No Slack), 1st Brigade, 101st Airborne Division (Air Assault) where he remained the entirety of his 10 years in active duty service. During Ofren’s career he was deployed four times, three to Iraq, once to Afghanistan. Seana and Ofren met in 2006, married in 2007, and welcomed Alston into the world halfway through Ofren’s third tour in 2008. During that same deployment Ofren became a United States citizen after serving for seven years. 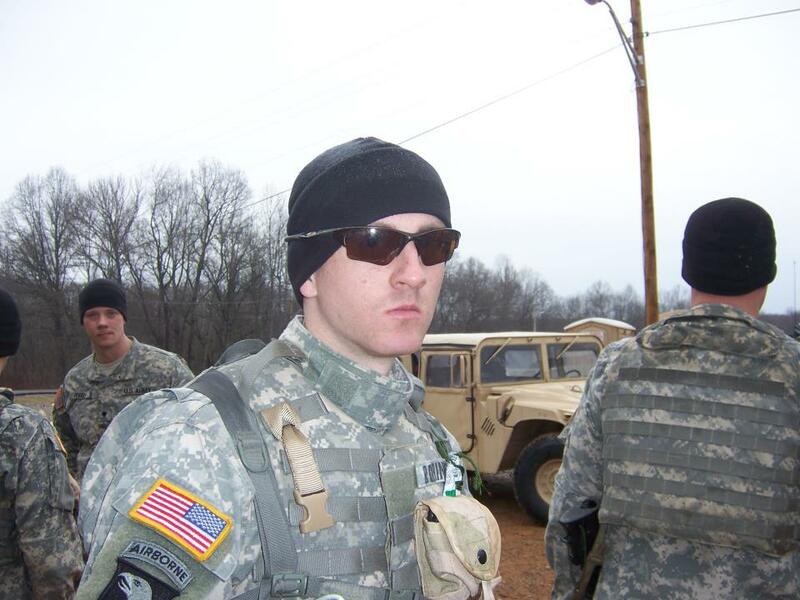 In April 2010, Ofren deployed to Afghanistan in what would be his hardest deployment yet. By the first week of July, 11 of his brothers had given their lives. On March 29, 2011, the day after Alston’s third birthday, Ofren and five others would do the same. Their final mission and sacrifices can be seen in the documentaries The Hornets Nest, and No Greater Love. Ofren is best known among his men for his ability to boost morale. Even on the worst of days he could make just about anyone laugh, even if they were laughing at him instead of with him. Ofren loved his job but he loved his guys more and that was evident in everything he did. 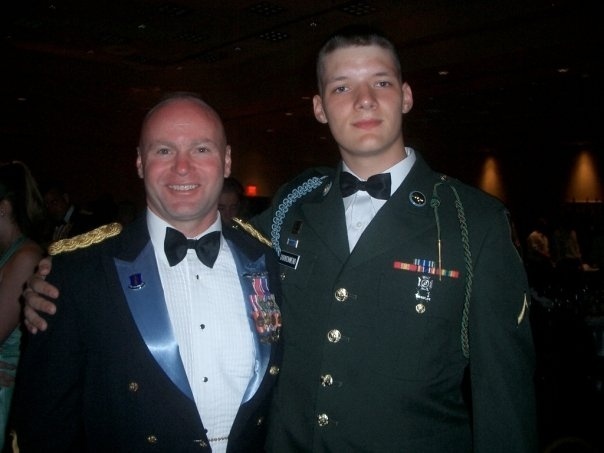 Shortly before his death Ofren received orders to be a Ranger Instructor at Fort Benning. 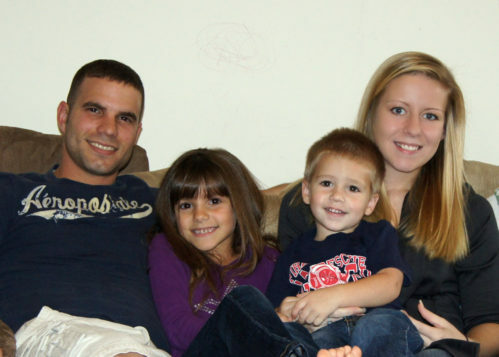 He was beyond excited to have a few non-deployable years with his family. Seana and Alston currently live in Amelia, Ohio. Seana is a spokeswoman for The Hornets Nest, No Greater Love, and Snowball Express. She also does some advocacy work for Gold Star Families in DC. Alston is 8 years old and doesn’t know a stranger. He’s the spitting image of his father but his personality is a good mix of both his mom and dad. He’s looking forward to starting third grade in the fall. Jacob Dohrenwend was a 2008 graduate of Milford High School. Spc. Dohrenwend was assigned to the 1st Battalion, 28th Infantry Regiment, 4th Infantry Brigade Combat Team, 1st Infantry Division, Fort Riley, Kan. He died June 21, 2010 at Balad, Iraq. 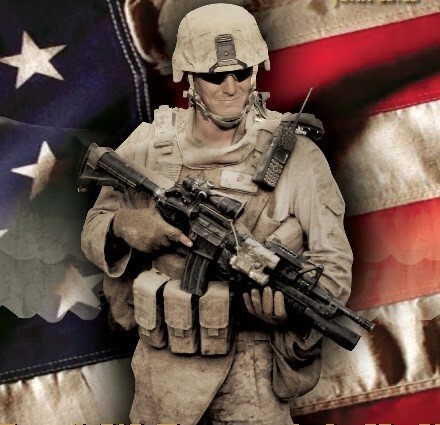 My son, CPL Adam D. Jones gave his life in Helmand Province, Afghanistan on April 27, 2011. He was on his 5th deployment. I have started a non-profit, 501c3 organization in his memory. Adam’s Hope sends items to deployed troops. We send anything from microwaves to beef jerky. For more information on Adam’s Hope, visit www.adamshope.com. Harold and Pam Murray are the parents of fallen SGT Jeremy Murray KIA 11-16-05, Haditha Damn, Iraq. Jeremy entered the military in 1996. He joined the Army, Infantry, Airborne, Ranger training, left that in 1998, then went to the Marines. He was with 3/1 division on his third deployment when he died from an IED. Jeremy was married to Megan and blessed us with his son Ian. Harold and I ride our motorcycle, and belong to and are actively involved with Rolling Thunder. We attend and support many military events. James Christopher Robinson Jr. was born on May 24th, 1983 and was raised in Monroe, Ohio. As a student, Jimmy took to soccer and the science club. No matter his team’s record, Jimmy saw the best in his fellow players and always tried to keep an upbeat attitude. He was a graduate of Lemon-Monroe High School in the class of 2001. Jimmy enlisted in the United States Army in February of 2005, shortly after marrying his wife, Kate. He had grown up with an appreciation for the military and a love for America. Both of his grandfathers were in the Army and thus set the foundation of pride and honor within him. He was assigned to the Alpha Company, 1st Battalion, 187th Infantry Regiment, 3rd Brigade Combat Team, 101st Airborne Division (Air Assault) out of Fort Campbell, Kentucky. 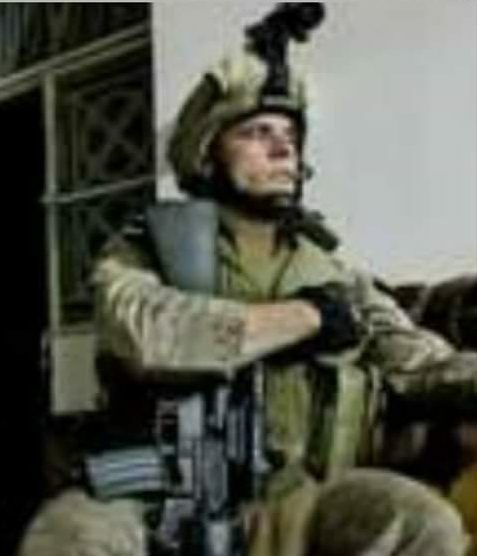 SPC Robinson deployed for his first call of duty to Iraq in 2006. Thankfully, he came home to his wife, Kate, daughter, Emmy, and the rest of his family and friends. In September of 2007, Jimmy and Kate were blessed with another daughter, Tori. One week after Tori’s birth, Jimmy deployed to Iraq for the second time. Again his family was blessed that he came home safely. On February 6th, 2010, Jimmy’s unit again deployed – this time their destination was Afghanistan. In April of 2010, Jimmy came home for mid-tour leave. On August 15th, 2010 SPC Robinson was promoted to CPL in Afghanistan. Thirteen days later, CPL Robinson was killed in action in the Bermal district, Paktika province, Afghanistan. In the early hours of August 30th, 2010, Jimmy was again on U.S. soil and upon his arrival was promoted to SGT. On September 6th, SGT Jimmy Robinson came home for the last time as family and friends escorted him. On September 9th, 2010, Jimmy was laid to rest as tears fell and goodbyes were said. However, SGT Robinson’s legacy was far from over. In the months following his death, his family continued to honor him. Many took his attitude and love for life to heart and saw the world how he saw it. Jimmy could make any moment memorable or more lighthearted by simply being himself. He was the kind of guy who could make you smile through any kind of pain and the kind of person that would make you a better person just from knowing him. Jimmy was a dedicated soldier who would do any job asked of him. He never complained about any task in front of him – and to those who did, he would give his signature reply “SHABOOMS”. Jimmy didn’t see himself as a Hero, but to all who knew him he is nothing less than that. To quote him, “Everyone has a job, being a soldier just happens to be mine. It’s a job. I just do it.” Ever selfless, there is no doubt that Jimmy would do it all over again, without even a second thought. Family was the most important thing to Jimmy and that’s why he did the job he did; He served to protect his family back home. His family also included his brothers at arms that he served with. His blood family was with him in spirit; his Army family was with him every step of the way until he took his last. SGT Jimmy Robinson would have taken the bullet for any of them before he would allow them to do so for him. It’s just how he was, so selfless and loving. On 7 November 2005, my husband, 1LT Justin Smith and his platoon were conducting a vehicle checkpoint south of Baghdad. Their replacements were on the way and there were only a few vehicles left to search. Unfortunately, one of those vehicles was packed with explosives and detonated, killing Justin instantly. Three members of his platoon were also killed as well as their Iraqi interpreter. He was an amazing man....in all aspects. Husband, daddy, son, friend and soldier. His smile could not be contained nor ignored. He had a spirit I’ve never encountered before nor since and he is missed every single moment. He is loved every single moment. And he will never be forgotten. 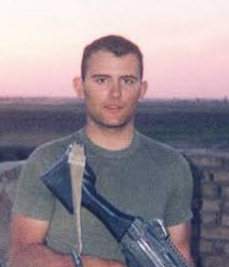 LCPL William “Billy” David Spencer was born September 6, 1986. He started school at Murray State after moving to TN. Billy met some friends in Paris, TN; and as a group the young men decided that to help pay for college they would join the Marine Corps. The day after reporting to his reserve station, his squad was activated to deploy overseas. Billy volunteered to go. He arrived in Iraq in September. One day when Billy saw his squad leader wounded in an Iraq shootout, he did the only thing he could do: He tried to save his commanding officer. He was killed in the process, hit by enemy fire on Dec. 28, 2006, in Al Anbar province. Nearly two years later, Spencer was awarded the Silver Star — the U.S. military’s third-highest honor — in a ceremony at Nashville State Community College. Billy’s parents love to share his personality with this story. Billy was a wonderful runner and a great athlete. However, in high school Billy would get out of running laps in football practice by volunteering to read to elementary students. He loved animals and just being around everybody. 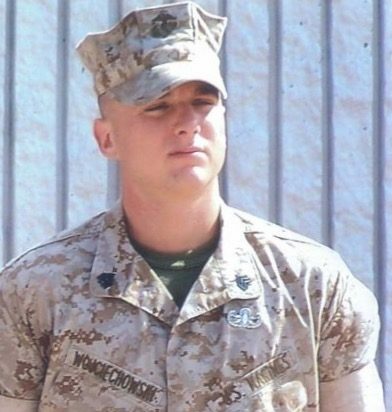 (Purple Heart Recipient) SSgt Mark Anthony Wojciechowski (“Tony “Wojo”) was born March 10, 1984 at Wright Patterson Air Force Base, in Dayton Ohio. Tony enlisted in the Marine Corp before graduating high school and chose infantry and security forces for his primary and secondary MOS. After three years and his first re-enlistment, he chose the elite Explosive Ordinance Disposal for his new MOS. After graduating EOD School at Eglin Air Force Base in Florida on August 2, 2006, he served in Okinawa, Japan and was then deployed to Iraq from February, 2007 to September, 2007. Tony also trained in the northern mountains of California where he attended the SERE course. Tony was then stationed at Camp Pendleton, California, and from there he deployed to Iraq again in February, 2009. SSgt Wojciechowski was killed while conducting combat operations in Al Anbar Province, Iraq on April 30, 2009. Tony was 25 years old. His awards include the Purple Heart, Navy and Marine Corps Commendation Medal with Valor, the Navy Achievement Medal with a Gold Star in lieu of his second award, Good Conduct Medal, Global War on Terrorism Service Medal, National Defense Medal, Sea Service Deployment Ribbon. Born at the Medical Center at Hill Air Force Base Utah 12 Nov. 1984. He graduated Fairfield High School, Fairfield Ohio and joined United States Marine Corps 5 Nov. 2003. Marine Corps Recruit Depot, Parris Island South Carolina. 3rd Battalion 8th Marine Regiment, L Company, 4th Platoon, Squad Automatic Weapon Gunner, MOS 0311, Infantry, 2nd Marine Division, Camp Lejeune, North Carolina. Served in Operation Secure Tomorrow, Port Au Prince, Haiti March-June 2004. Served in Operation Iraqi Freedom January 2005 – May 2005. He was killed in Action 9 May 2005, in Al Karmah, 16km Northeast of Fallujah, Al Anbar Province, Iraq. Awards Include: Purple Heart, Combat Action Ribbon, Navy Unit Commendation Ribbon, Marine Corps Good Conduct Medal, National Defense Service Medal, Armed Forces Expeditionary Medal, Iraqi Campaign Medal, Global War on Terrorism Service Medal, Humanitarian Service Medal, and Sea Service Deployment Ribbon. He is buried in Arlington National Cemetery, Section 60, Site 8111. 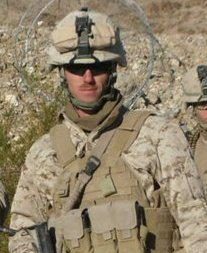 Corporal Christopher “Tyler” Warndorf- Was born on July 15, 1985 and K.I.A. on August 29, 2006. He proudly represented the United States Marine Corp. His bravery earned him several medals, awards, and decorations, including the National Defense Service Medal, the Navy Unit Commendation Ribbon and the Purple Heart. 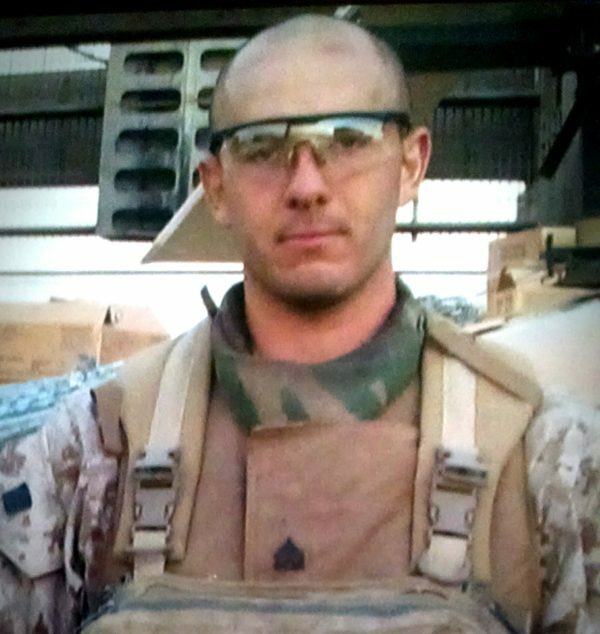 He was assigned to Lima Company, 3rd Battalion, 8th Marine Regiment, 2nd Marine Division, based in Camp Lejeune, NC. He was first deployed to Haiti. As a very naive young man the conditions and how the children were force to scavenge for food appalled Tyler. He requested us to send healthy snacks. He was known for his compassion, sense of duty and responsibility. He was only 9 when his father passed away, taking on the role of “Man of the house.” He told me that about a week after his father was gone. Saying, “Mommy you don’t have to ever worry, or be sad. I am now the man of this house and I promise to help you with Nick (age 7) and Katelyn (age 2). He put his loving little arms around me and I never felt so loved. Tyler had a way about making every single person he met feel as if they were everything to him. I never had to tell Tyler what to do, he just did it. He was very determined, strong willed, and went after everything in life he wanted to achieve. He was beloved by so many and continues that in death. I am so honored to call him my son.